It takes a tremendous level of commitment, communication and focus to ensure our customers’ SLAs are met around the world. Our global network operations team is an elite group of in-country specialists who have the experience, knowledge and dedication needed to create successful outcomes for every customer. Philippe Jadoul is the Vice President of Global Network Operations of Flash Global and Managing Director of the European entity based in Wiesbaden, Germany. Philippe is responsible for overseeing all global network operations, inventory control, and related infrastructure. Philippe has worked across Europe in the logistics field for over 20 years. He has been providing critical spare parts logistics solutions for Flash customers for over 10 years. Philippe is fluent in English, German, French, and Dutch. Philippe is a Belgian national and spent several years in the Belgian Army. Following this service, he worked for UPS in senior operational management roles for a decade. Walter Santiago, based in Sao Paulo, Brazil, is responsible for managing our rapidly expanding partner agent network throughout Latin America and the Caribbean. Walter has over 14 years experience in the Latin American region and global operations, having worked for both DHL Express and DHL Exel. For the last 10 years Walter has been responsible for managing service parts logistics throughout Latin America. 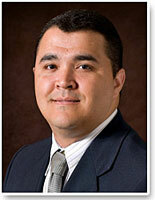 Walter is fluent in English, Spanish, and Portuguese and has an MBA from the Mackenzie University in Sao Paulo. Shuji Chigami began his work with Flash Global in April 2009. 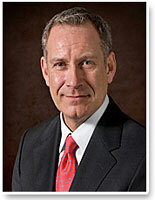 He is responsible for maintaining and developing the entire APAC Network Operations . 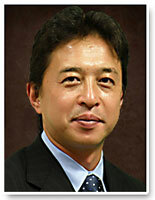 Chigami-san’s multi-national career with appointments in the USA and UK, includes 6 years with DHL Japan in Tokyo. His experience as Customer Manager, Global Customer Solutions, spanned global and multi-national customers and management of all commercial activities between DHL and their customers, with specific emphasis in the areas of medical, biological, and defense parts distribution. Chigami-san’s education includes Programs with the International Air Transport Association and International Federation of Freight Forwarders Associations, and he is fluent in both English and Japanese. Jorge Mastrapa is responsible for the strategic development, management and overall operations of Flash Global's service supply chain networks in the U.S. and Canada. Throughout his career of more than 25 years in the high technology and supply chain industries, Jorge has helped companies develop high-performing multicultural teams, created and implemented innovative processes and solutions, and improved operational performance and customer satisfaction. Fluent in English, Spanish and Portuguese, Jorge is a noted guest speaker and author of articles in the areas of cross-cultural communications and global leadership. Jorge is a certified cross-cultural management specialist who has completed the APICS CSCP certification program and also has MBA and Ph.D. degrees, both with a focus in international business. 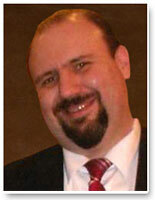 Dmitry Zelenevsky joined Flash Global’s international team in January 2010. Dmitry is responsible for developing and facilitating operational solutions for clients in Russia, including domestic and cross border operations, Importer and Exporter of Record services and international trade, and critical time transport in not only metro but outlying Russian regions. Dmitry’s multi-national career experience with TNT Express in Saint Petersburg included 7 years of creating efficient solutions for import, export, and delivery of time critical automotive and electronic spare parts, with a dual position as country risk and security manager. Dmitry acted as CEO in a segment of FMCG and prior to TNT, actively built business development relationships in the electronic manufacturing industry with ABB. Dmitry graduated with an Electrical Engineering education from Saint Petersburg Polytechnical University. Cathy Powers joined Flash's Global Network Operations team as the Director of Global Inventory Control in October 2014. She is responsible for managing inventory controls and procedures across Flash’s global network of six Command Centers, 17 Distribution Centers, and 750+ Forward Stocking Locations. Her focus is to improve upon and develop quantifiable, sustainable solutions that exceed customer and business expectations. Cathy has extensive technical and managerial leadership experience. Prior to joining Flash, she held positions in asset recovery and inventory control for Polycom, supply and demand planning for Compaq, and logistics operations at Digital Equipment Corporation. Additionally, Cathy spent many years working in the nonprofit sector as a director providing services to developmentally disabled adults, for which she received the 2009 Massachusetts Senate and House of Representatives Citation for “Leadership, courage, and perseverance, in developing and implementing a much needed vital service for the developmentally disabled in Western Massachusetts.